The Benue Government has increased the ransom it pledged to give anyone with useful information that could lead to the arrest of Mr Terwase Akwaza, alias Ghana, from N10 million to N50 million. The Commissioner for Information, Mr Lawrence Onoja, disclosed this on Thursday in Makurdi after the State Security Council meeting. Onoja said that the increment in the ransom was due largely to renewed criminal activities allegedly perpetrated by the wanted suspect and his cohorts in Sankera axis of the state. He said that emergency lines would be made public in no distant time to enable the public to supply information concerning him to security agencies. He further said that the council also directed security agencies to arrest any vehicle that had its number plate covered, including government vehicles. The commissioner added that it was only traditional rulers that were allowed to cover their number plates just for a time being to enable them to do new ones. He said that people who were not supposed to use sirens should desist forthwith as anyone who violated the law would be sanctioned. He also stated that the use of revolving lights on vehicles was banned in the state with immediate effect. He warned cultists to refrain from the ugly act because laws that forbade the practice were in force and anyone caught would be dealt with decisively. He disclosed that the seven persons who were killed in Gboko Local Government Area of the state on Wednesday were not Fulani herdsmen as speculated, adding that their murderers were pure criminals. He said that the council sympathised with the families that lost their loved ones in the unfortunate incident and prayed God to console them. 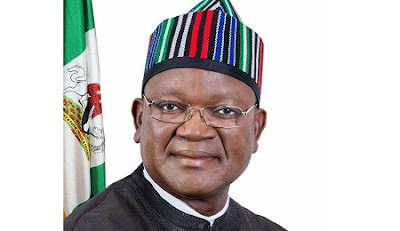 He appealed to Benue people not to take laws into their hands but obey the laws of the land, stressing that anybody that would take laws into his or her hand would be made to face the full wrath of the law.